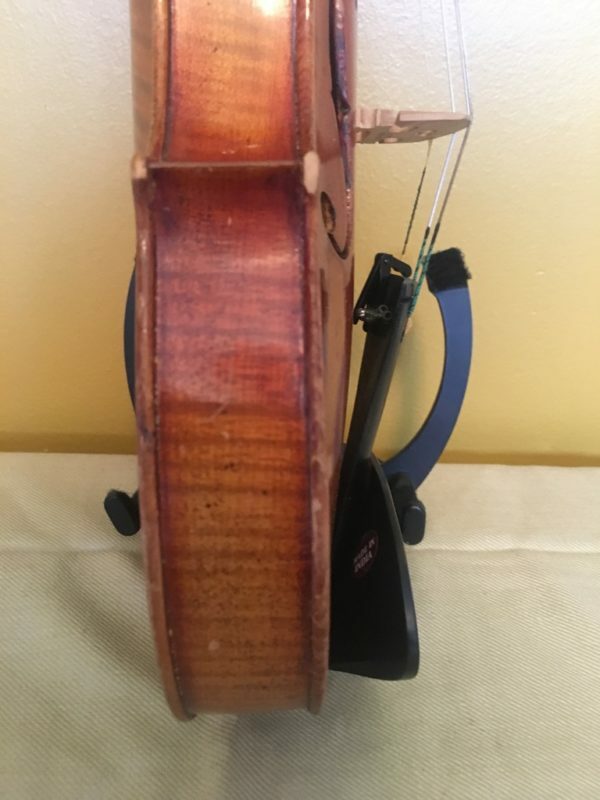 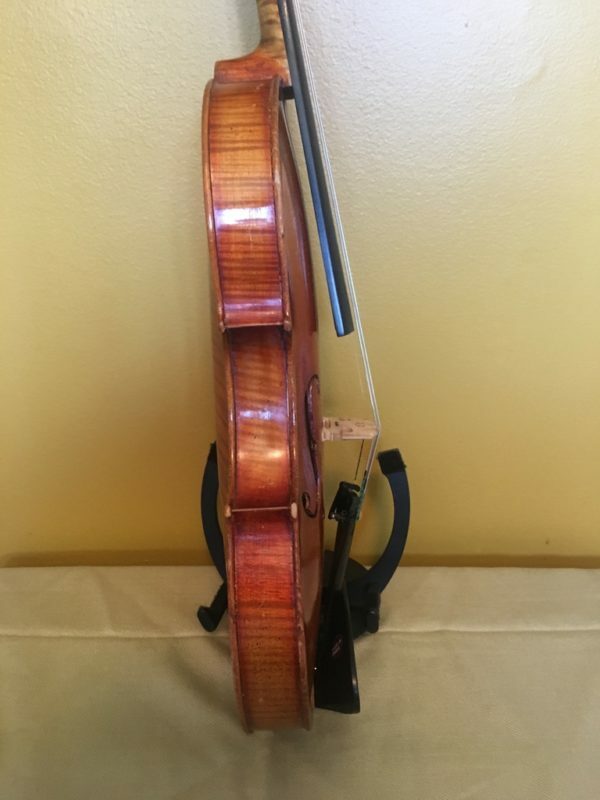 This is a great instrument, I have used it several times in performance. 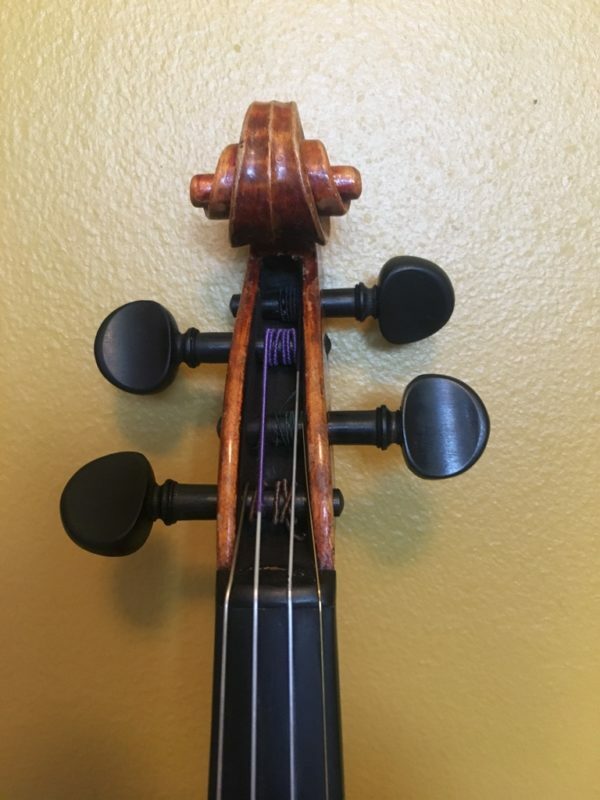 Bright, resonant timbre, the sound carries perfectly, easy to play, and just beautiful to look at! 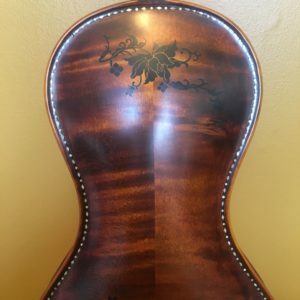 Gorgeous one-piece medium-to-narrow grain back, elegant spruce top. 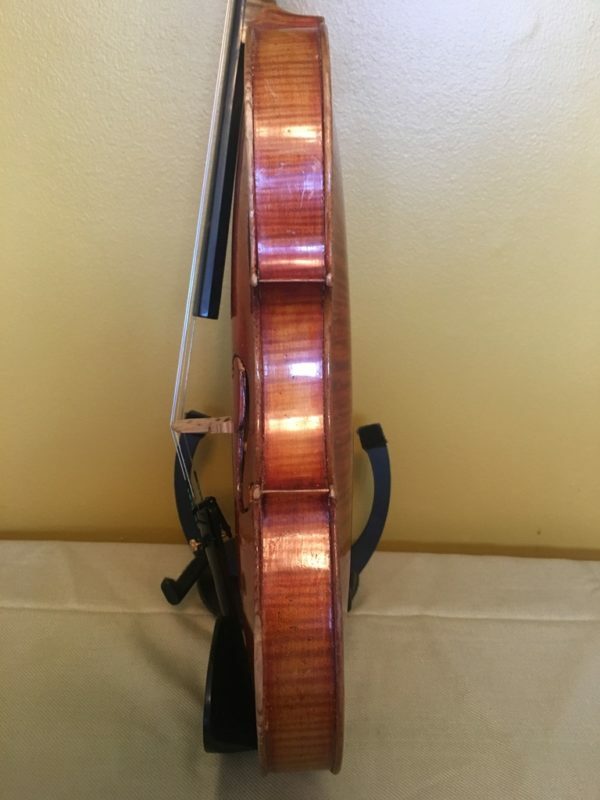 The E string especially has a wonderful singing quality. 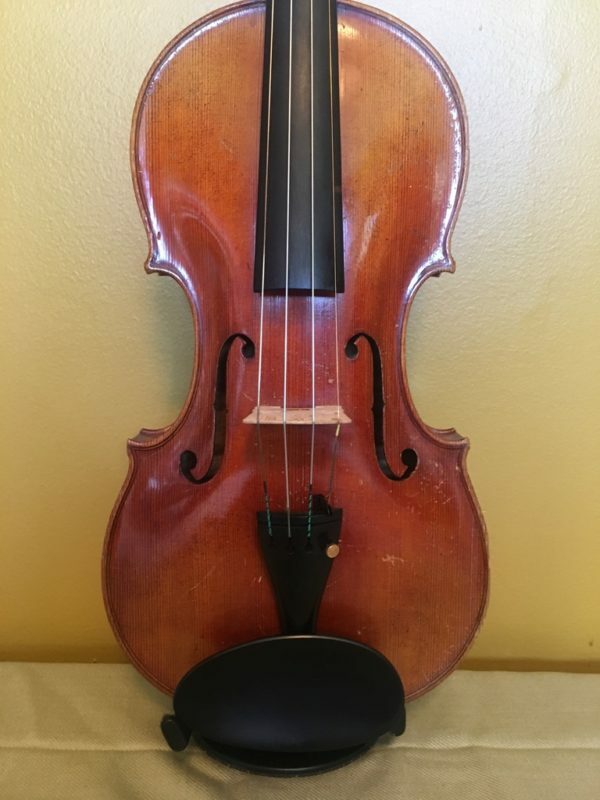 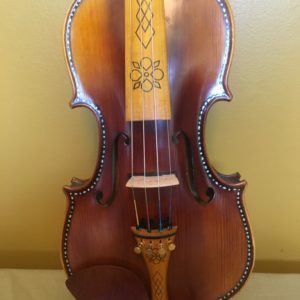 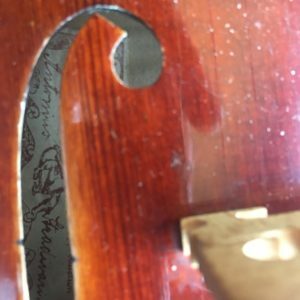 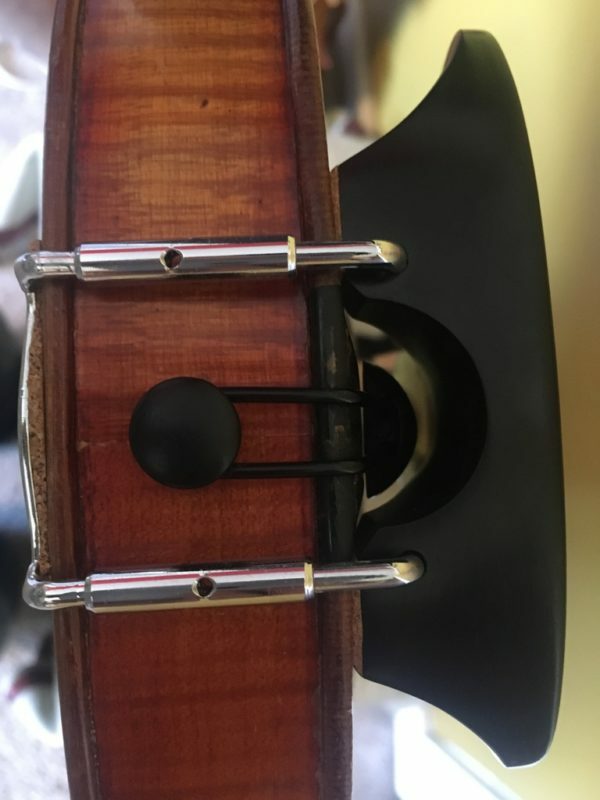 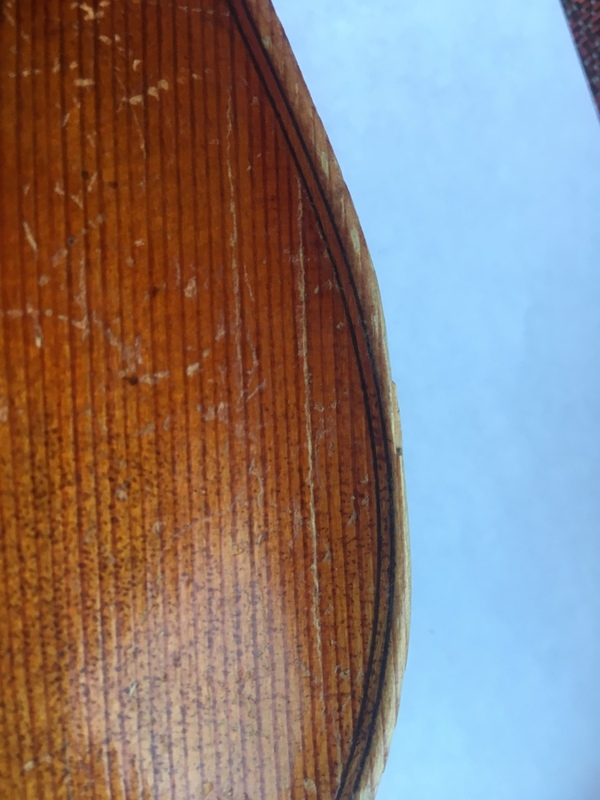 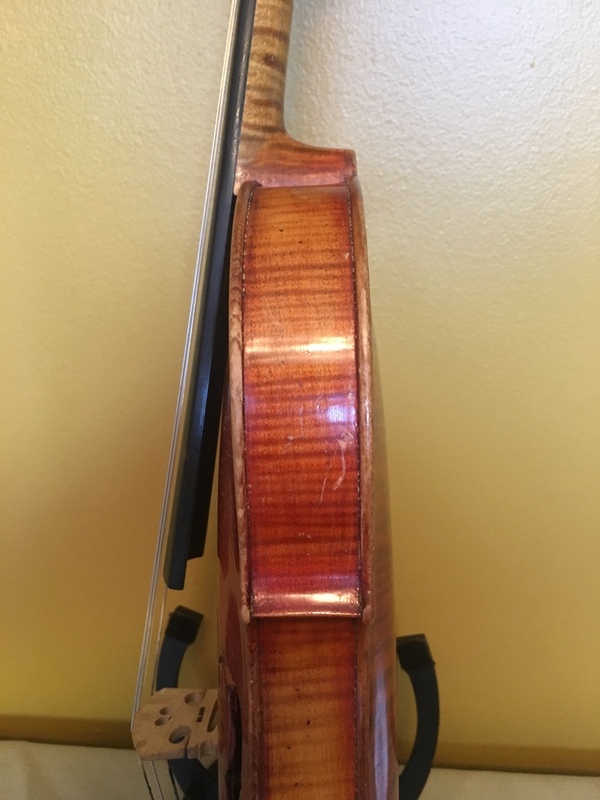 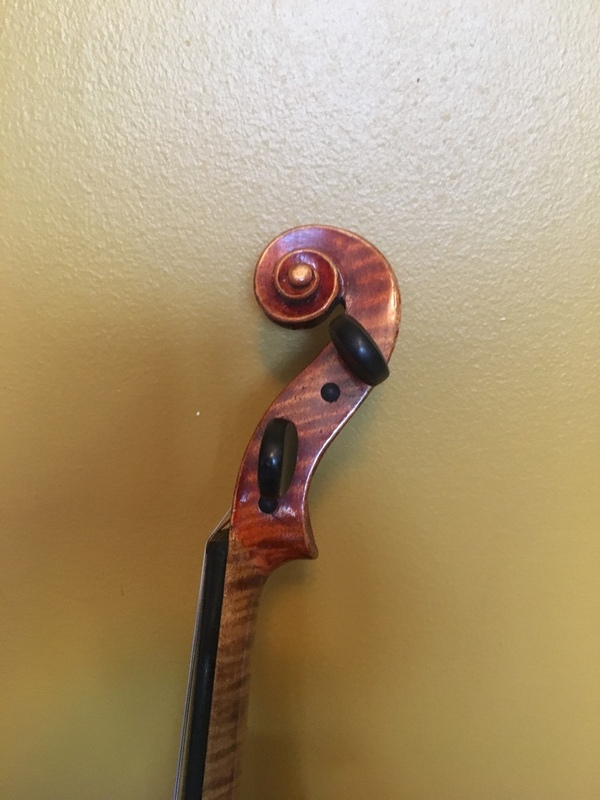 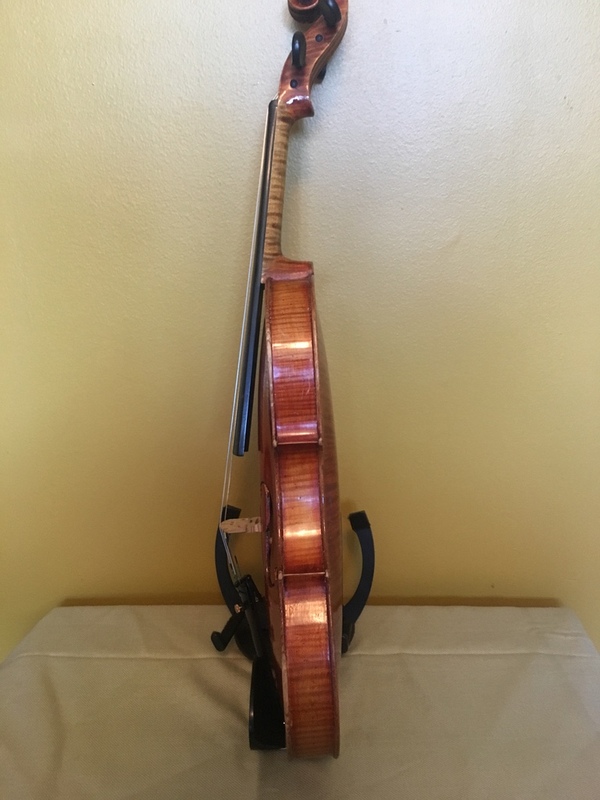 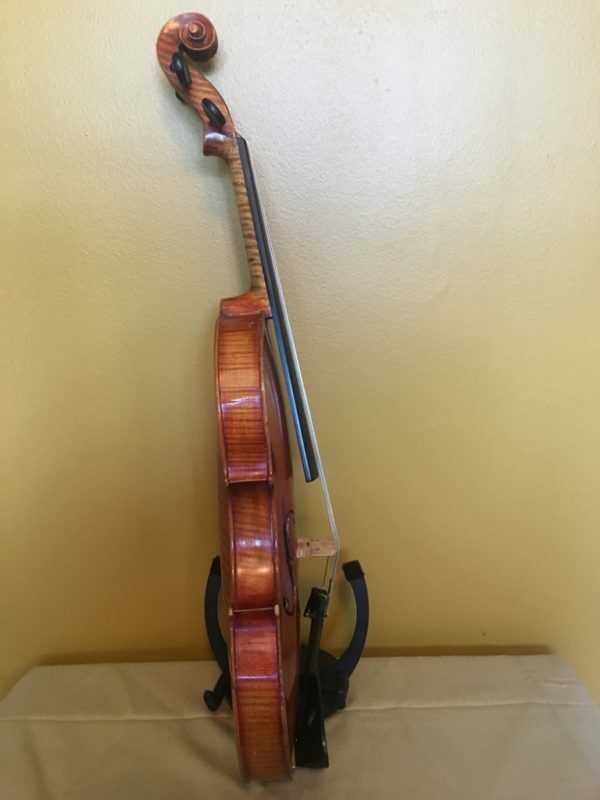 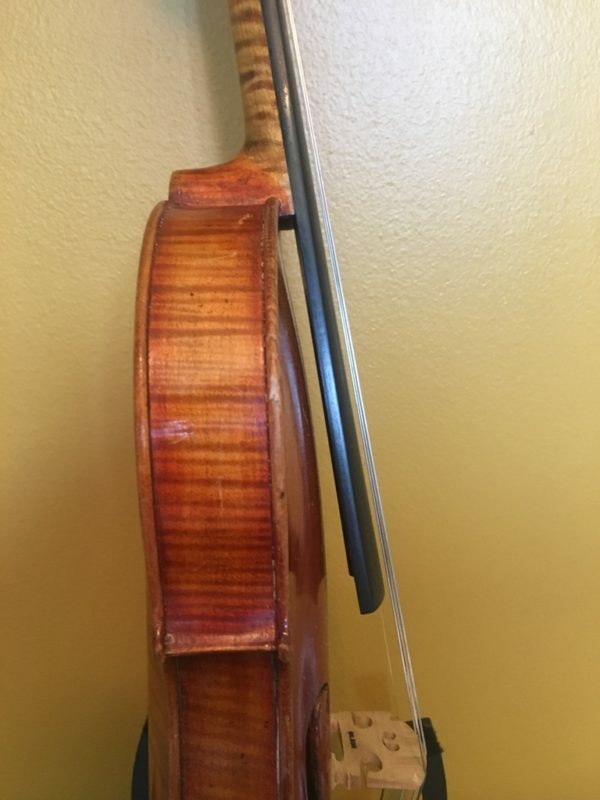 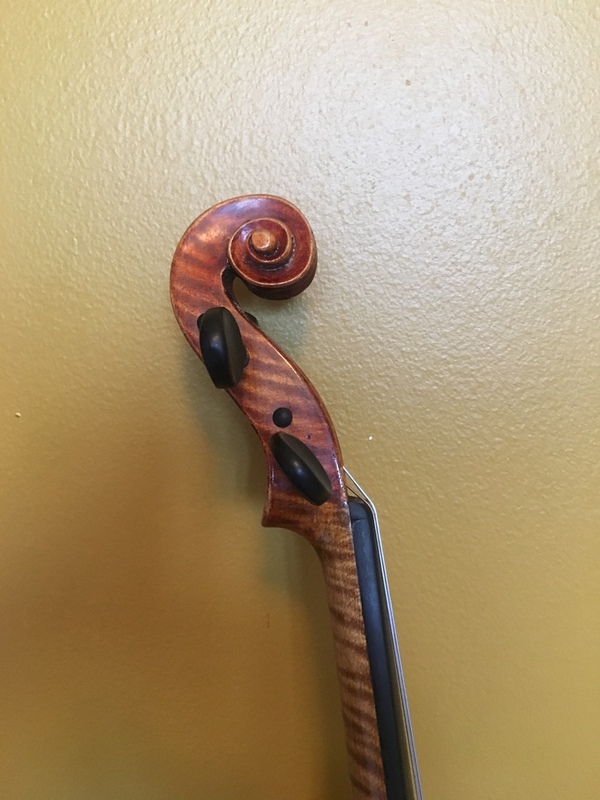 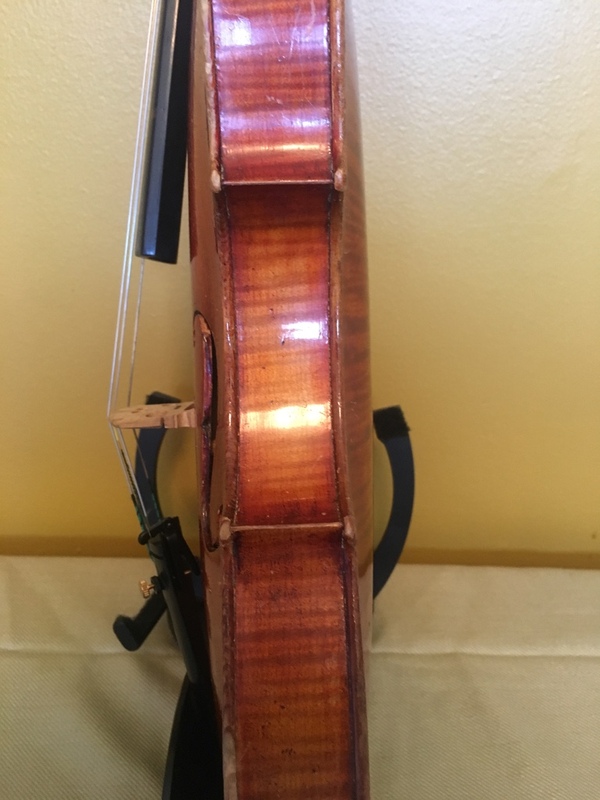 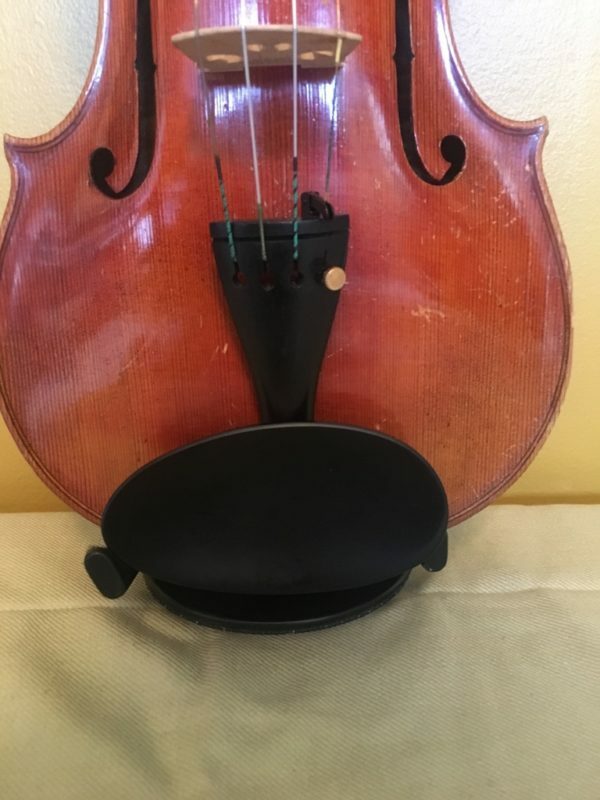 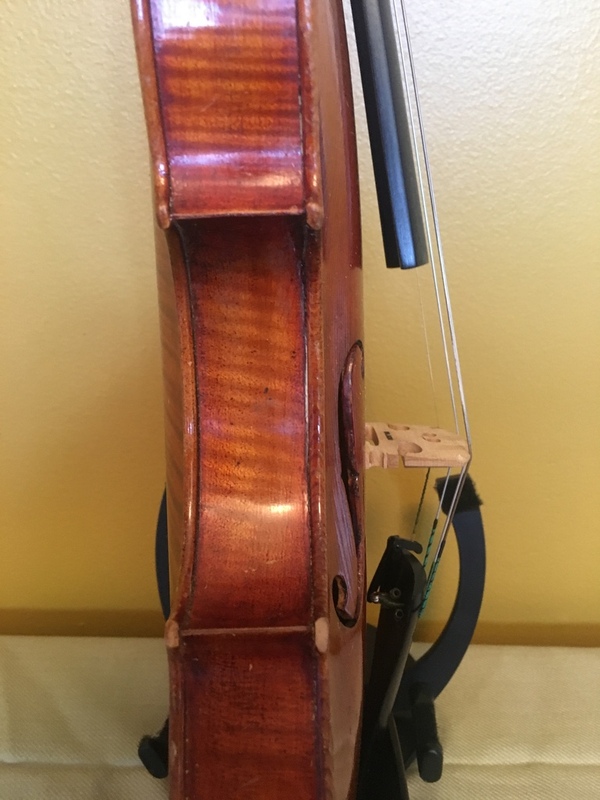 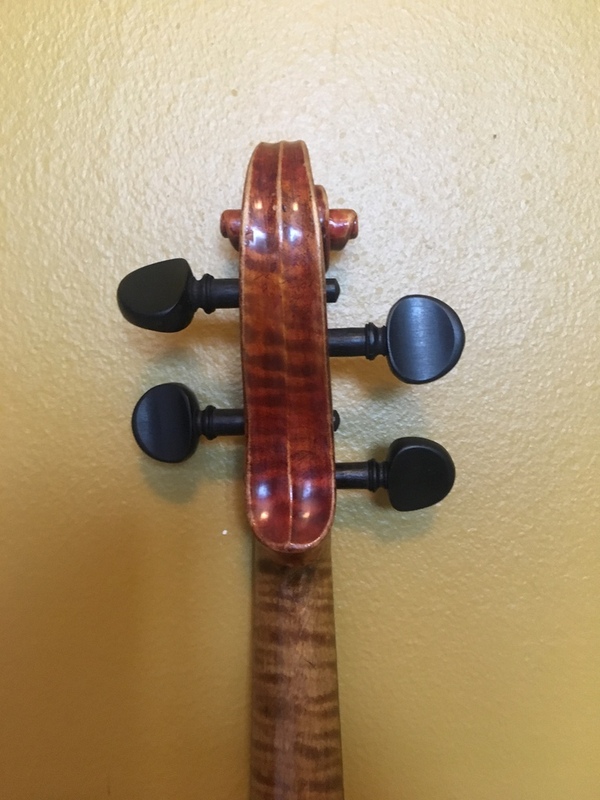 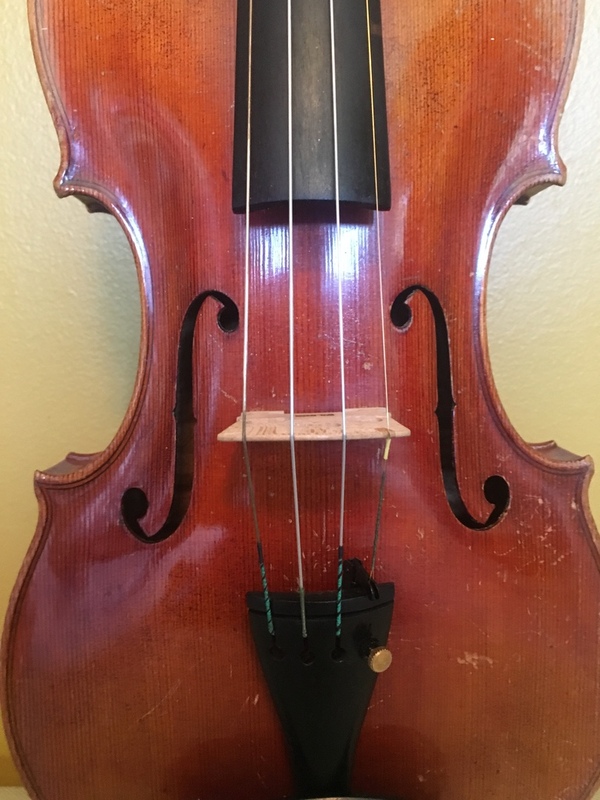 The violin is most likely a German instrument form early 1900s, made quite possibly in Mittenwald or Markneurkirkhen. 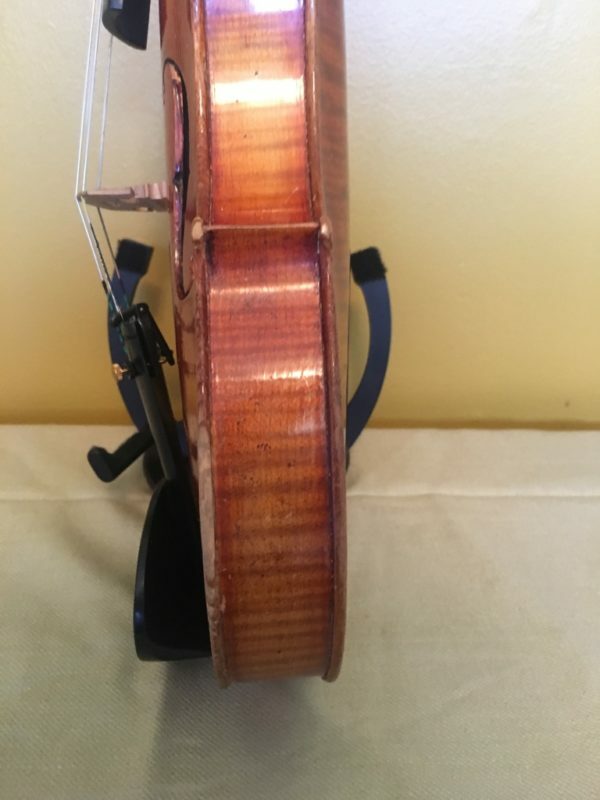 Stellar condition, considering its age, just one minor repair on the lower right side. It’s been taken care of very well since I acquired it, upgraded with a new set-up (bridge, tailpiece, strings, pegs). 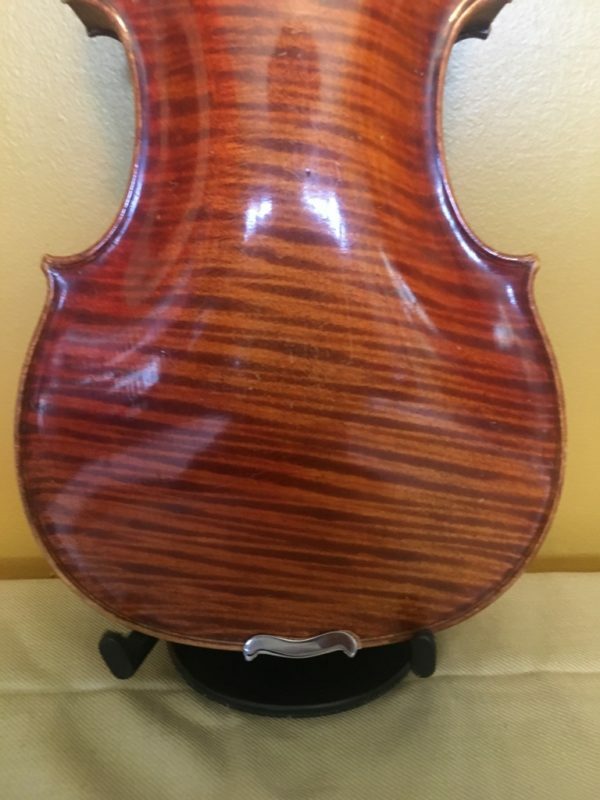 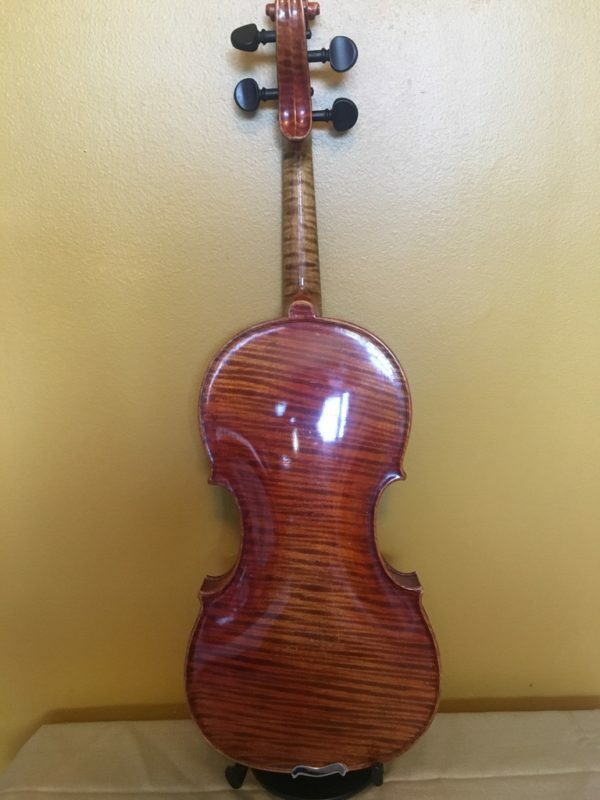 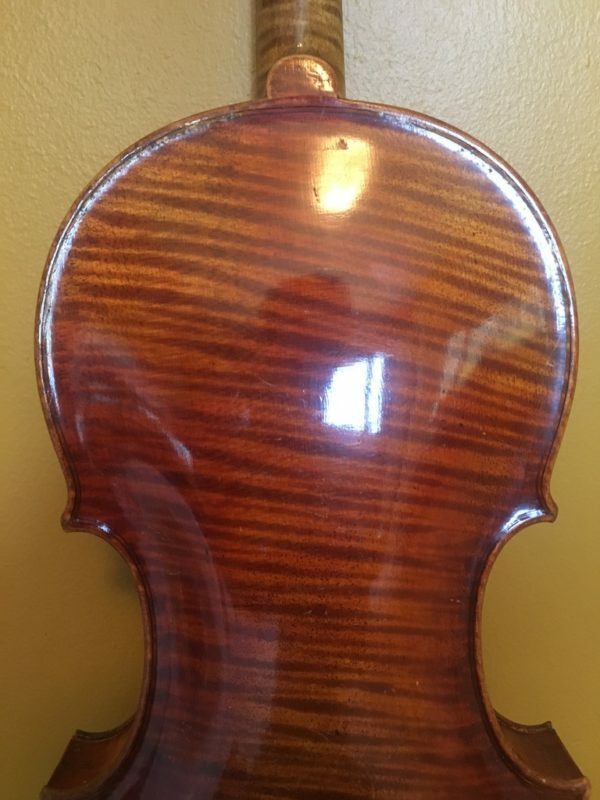 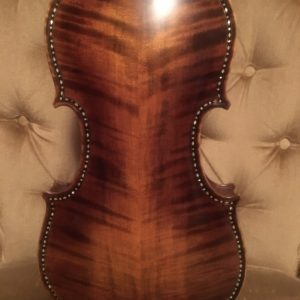 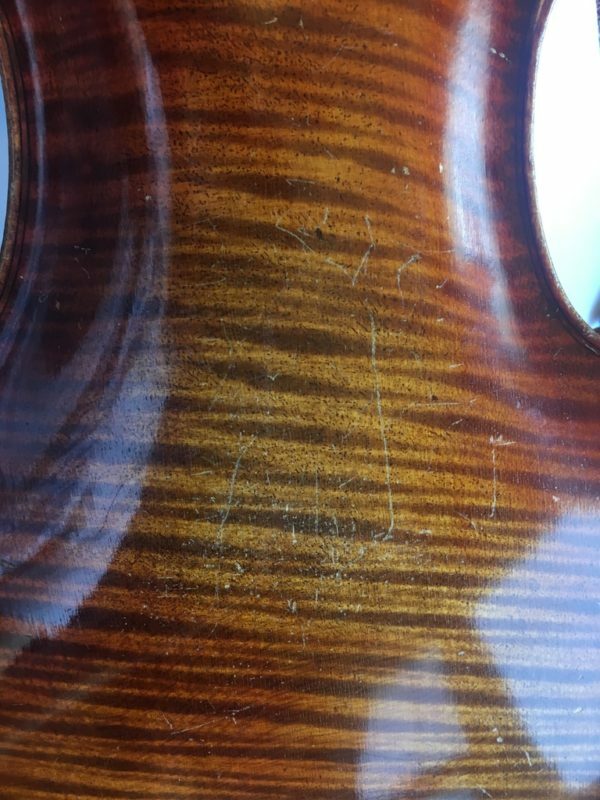 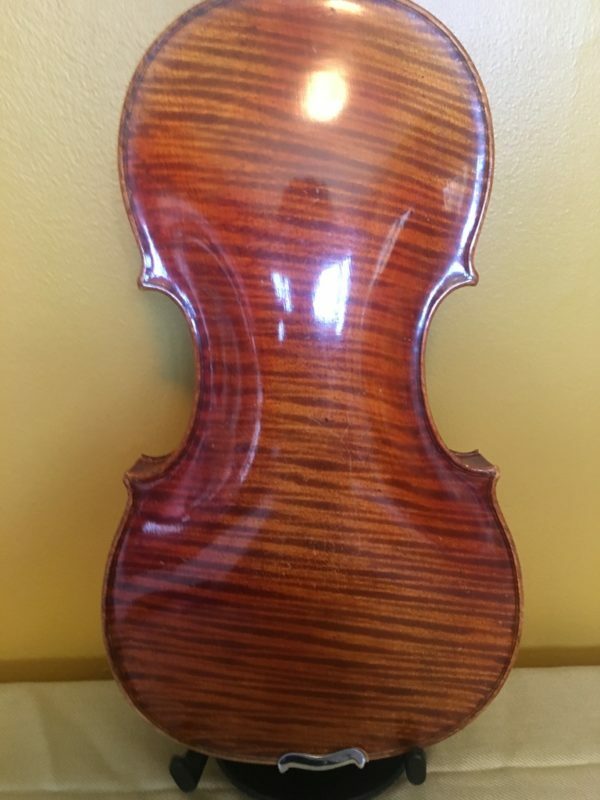 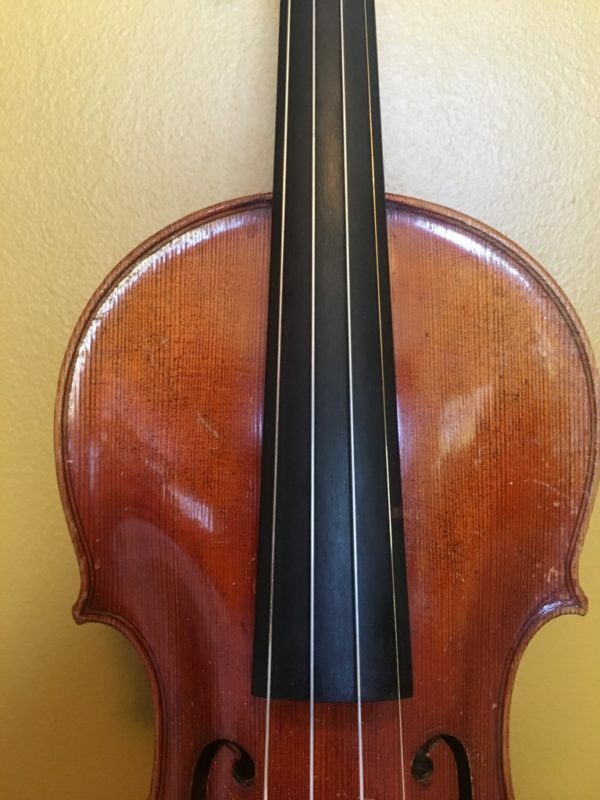 Violins with the happy combination of this pedigree, quality and look often fetch $4000-$5000 in auctions. 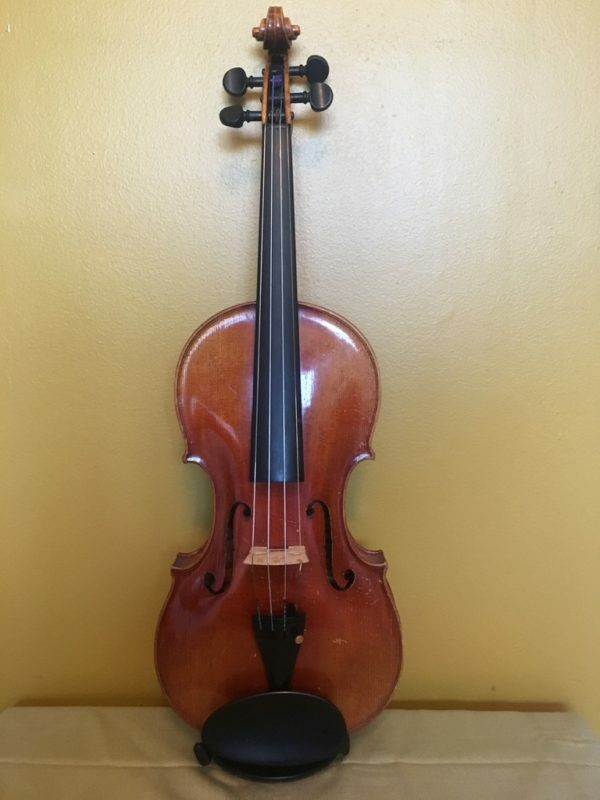 It’s currently on sale for only $2500.